The following were elected/appointed at the AGM. Karl Croke-Chairman of the Management Committee. 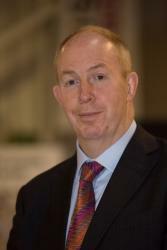 David McGrath - Senior President Elect. Paul Cunningham - Junior President Elect. Frank Hayes-Honorary Secretary. Mick Doherty - Financial Controller. became due on June 1st. sub in June we would be very grateful. in our wonderful newly refurbished clubhouse next season.